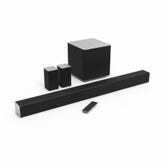 The SONOS PLAYBAR exemplifies what we look for in a sound bar, and you agree, having crowned it the best in the category after almost 5000 votes. The PLAYBAR isn’t just a beautiful object, it’s also easy to set up and easy on the ears, and brings with it an optional ecosystem of speakers and subwoofers to fill your living room with true surround or fill your home with wireless audio. Here’s the Gizmodo Review. The PLAYBAR and its accompanying ecosystem are also expensive, and their victory was by no means a landslide, with the venerable VIZIO series losing by only a few percentage points. 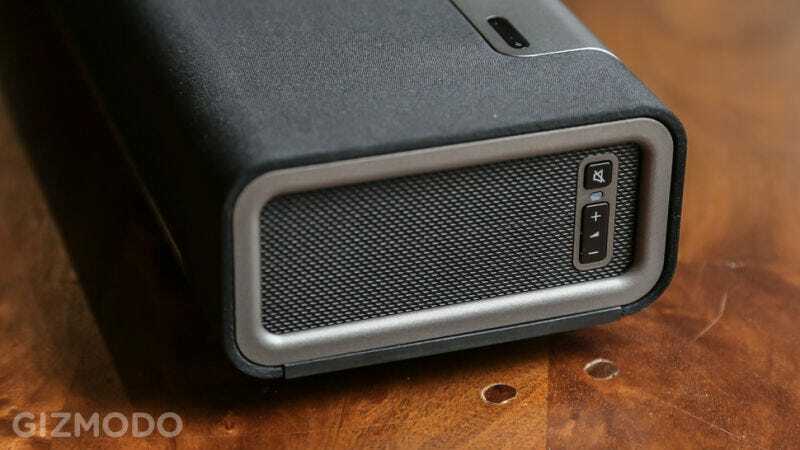 The VIZIO isn’t just a sound bar, it comes with a wireless subwoofer at no extra charge, and that subwoofer ingeniously has its own set of wired rear surround speakers. It’s also the best selling surround sound system. 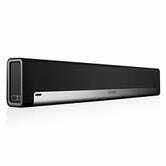 It’s an ideal outcome for the voting, with the SONOS offering maximum simplicity and premium quality, and the VIZIO boasting tremendous value and low barrier to entry. No wires for you! (Well, a few wires actually).